Global declines of coral reefs — particularly in the Caribbean — have spurred efforts to grow corals in underwater nurseries and transplant them to enable recovery. However, current approaches rarely incorporate the key ecological reef processes critical to facilitating restoration and improving the odds of success. 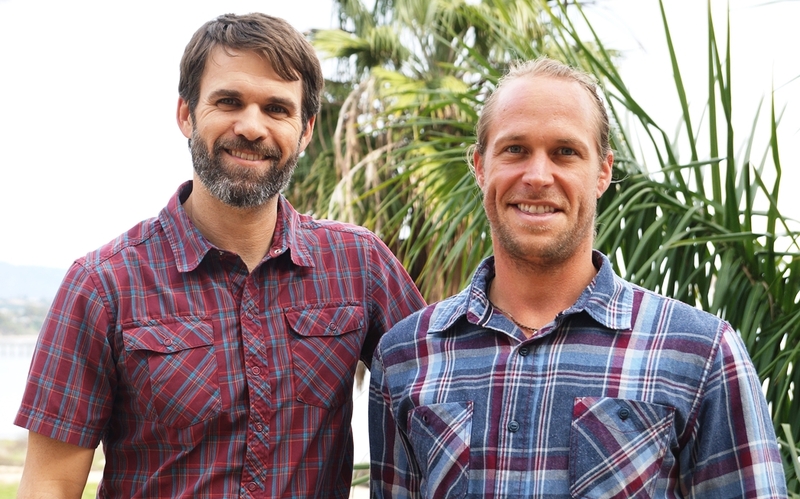 The researchers examined five critical ecological processes — herbivory, competition, predation, nutrient cycling and recruitment — that drive coral reef functions to determine how to maximize recovery of an endangered coral species, Acropora cervicornis. Also known as staghorn coral, this large fast-growing species is common in the Caribbean. The ecologists posit that restoration practitioners can control factors such as the density, diversity and identity of corals outplanted as well as site selection and transplant design to restore positive, or break negative, feedback processes — and by doing so increase the success of restoration efforts. Their analysis demonstrates that intermediate densities can maximize growth rates while minimizing mortality — a positive density-dependent feedback. For example, the density of farm-raised transplanted corals can be adjusted to attract larger numbers of fish, who in turn deliver nutrients for recycling that assists the growth of corals. However, solutions tend to be context-dependent. Consider predation. 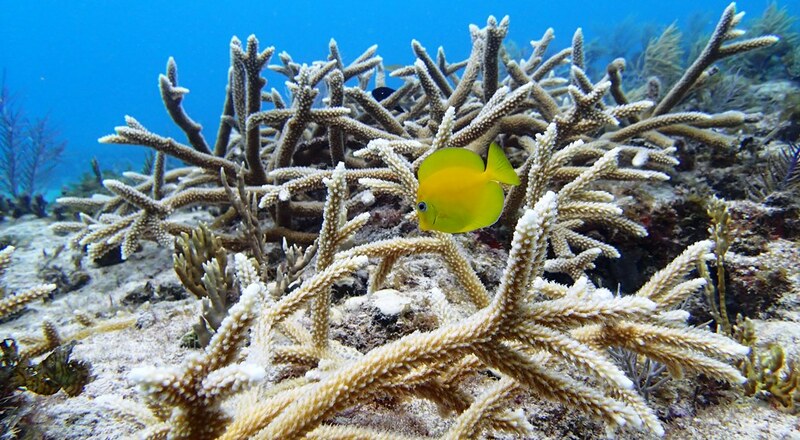 In the Caribbean, damselfishes exert a negative influence on coral reef growth. These highly territorial fish create algal gardens on restored A. cervicornis colonies, causing their partial or total mortality. Yet in the Pacific Ocean, damselfishes actually may facilitate coral restoration. Fierce protection of their algal gardens also keeps coral predators at bay, allowing rare corals to gain a foothold. Restoring degraded reefs requires innovative and creative approaches that leverage existing science and information to develop new techniques. Integrating the knowledge of coral reef ecology with restoration strategies is key. Featured photo by Mark Ladd of UC Santa Barbara shows a juvenile blue tang in staghorn coral. This article by Julie Cohen first appeared here on the UC Santa Barbara website.